As part of RP Technologies’ ongoing investment and expansion plans the company has invested more than £130,000 on additional machinery. 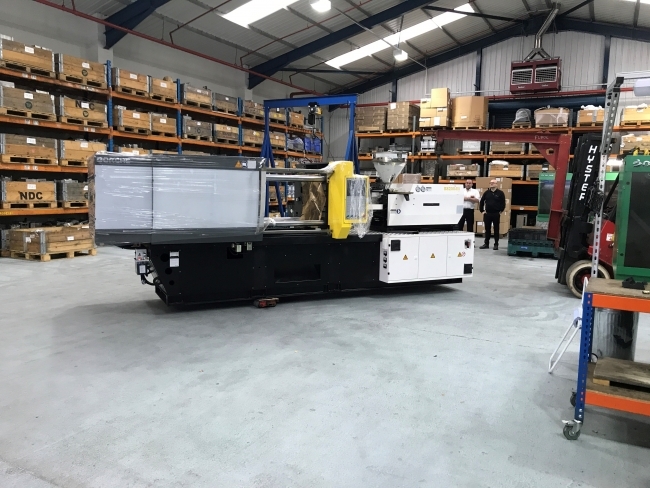 The company has purchased a Borche 600-tonne injection moulding machine to add to their already impressive suite of machinery in their West Midlands based facility. The new machine will increase their part size offering to components with a shot weight capacity up to 2.3kg. Over the last five years RP Technologies have continued to progress their services by investing profits back in to the company. They have purchased a large amount of new machinery, employed additional members of staff and opened a sales office in Germany to sustain their increasing demand. This growth strategy has opened new opportunities for the company and they have recently seen a surge of requests for larger sized components. In order to fulfil the customers’ requests RP decided to invest in the 600-tonne moulding machine. This is the company’s second investment of the year, in earlier months they invested £250,000 on two sizeable Hurco CNC Machining centres, a Hot Plate Welding Machine and a Mould Simulation Analysis software package. The Hurco CNC machines were purchased as part of their forward planning to ensure they had the capacity to manufacture larger tooling to fit within the new 600-tonne moulding machine. The company said the investments mean that RP can continually offer new and improved services to their ever-growing customer base.